The Wargaming Game Center (WGC) is our game launcher, which contains all your favourite Wargaming titles and makes sure they’re ready to play when you are. Here you'll find all important information regarding the game and news about upcoming features. As such, we have a collection of updates to make everything even more convenient! From now on, when you log in via a social network, you can choose whether the WGC remembers these credentials. Also, a little extra coming with this update: the WGC now supports multiple accounts for each social network and multiple user accounts. To keep you informed about the most important events in World of Tanks, we've implemented push notifications within the Game Center. These notifications will be sent to the Game Center directly, no matter if you're playing or not. 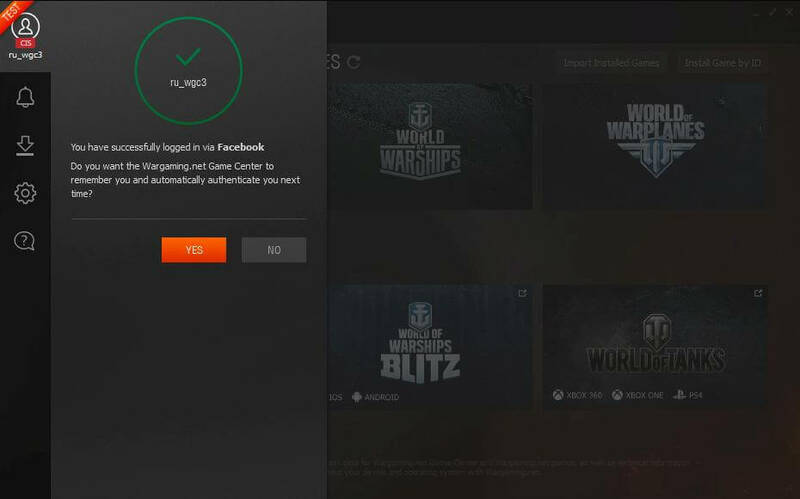 Now when you click on links from the Wargaming Game Center, you can automatically log in to Premium shop and World of Tanks portal. We're well aware for some of you it’s crucial to play on a specific server. 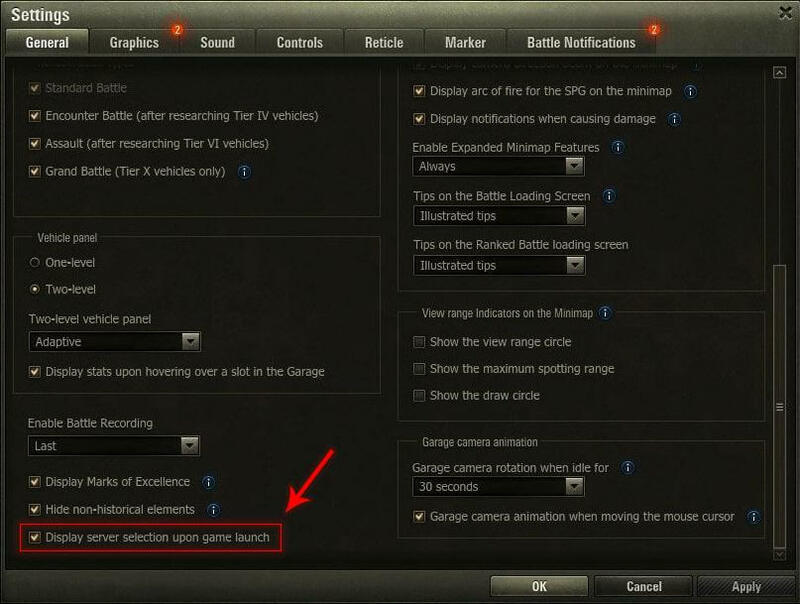 With the updated Game Center, when you start the World of Tanks client, you can select the appropriate server. 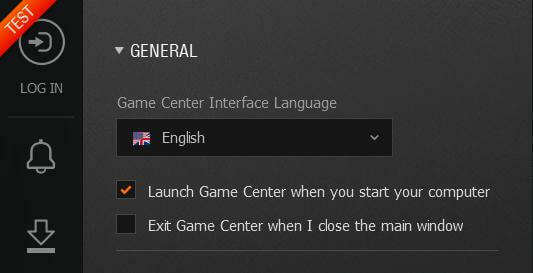 You can activate server selection in the game settings with just a few mouse clicks. If you have any comments or suggestions on how to improve the Wargaming Game Center and its features, please let us know via the forum. Why Use the Game Center? With the Game Center, you can initiate hassle-free automatic updates for installed games. You can also manually set the download speed and distribution of updates to lower the load on your Internet connection. With the Game Center, getting a game back up and running after an unexpected crash is easy. It checks the game client and restores it, if it has been damaged. It’ll also help you collect all necessary technical data and file a ticket for the Customer Service Center. You won't miss out on all the important happenings from around the Wargaming universe. The Game Center delivers it directly to you. You can read up on the latest news, check video guides, and more in the launcher before you play. If you want to grab the latest sale, browse through all packages currently in store and choose the one to your liking. If you enjoy playing on several servers, Game Center helps you get the best of both worlds. It lets you install several game versions so you can switch between regions. Download the Game Center now and enjoy convenient access to all of your favorite games!